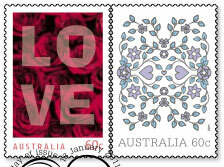 These two stamps accompany the Occasions issues from last July, and are released for St Valentine's Day. 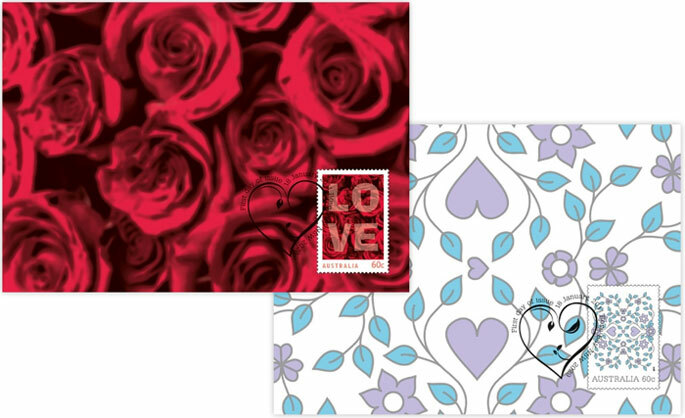 The two distinct designs show the classic red roses, and a more contemporary heart and leaves pattern. Three self-adhesive booklets accompany this issue, with one featuring the champagne glasses stamp from the July 2010 Occasions issue. Booklets are to be distributed to post offices in chequebooks of 20 booklets. These are not listed on this website. Two personalised stamps will accompany this issue.